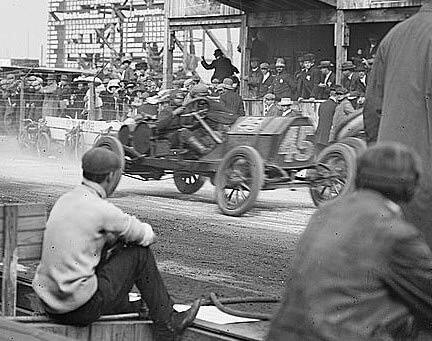 For the 1910 races, three simultaneous races were planned, with the running of the Massapequa and Wheatley Hills Sweepstakes with the Vanderbilt Cup Race. Different, though, was the order in which they would run. Instead of starting the smaller Wheatley Hills cars first, the new plan called for them to start after the main event. One hour into the Vanderbilt Cup Race, Starter Fred Wagner aligned the eight starters of the Wheatley Hills Sweepstakes to prepare them for entry into the fray. 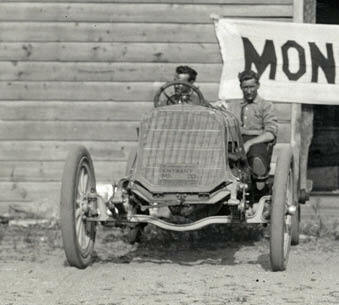 Disqualified was the Correja entry for driver Montague Roberts, a decision by the technical committee based on a lack of evidence that enough units of the make had been manufactured to qualify it as a commercially produced stock car. 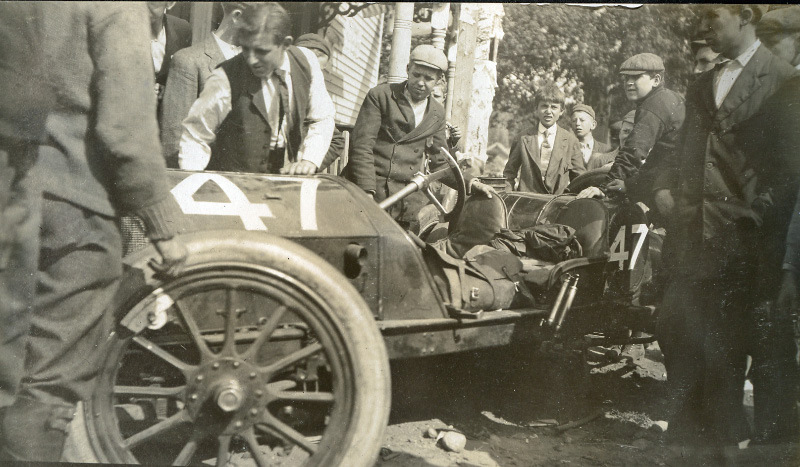 The late start of the Wheatley Hills Sweepstakes, for cars of 231 to 300 cubic inches, was very nearly a factor in the Vanderbilt Cup Race. As Wagner released one of the small stock cars it kicked up enough dust and smoke to cause Eddie Hearne in one of the Vanderbilt Cup Benz racers to swerve abruptly and hang his left wheels off the concrete and into the dirt. 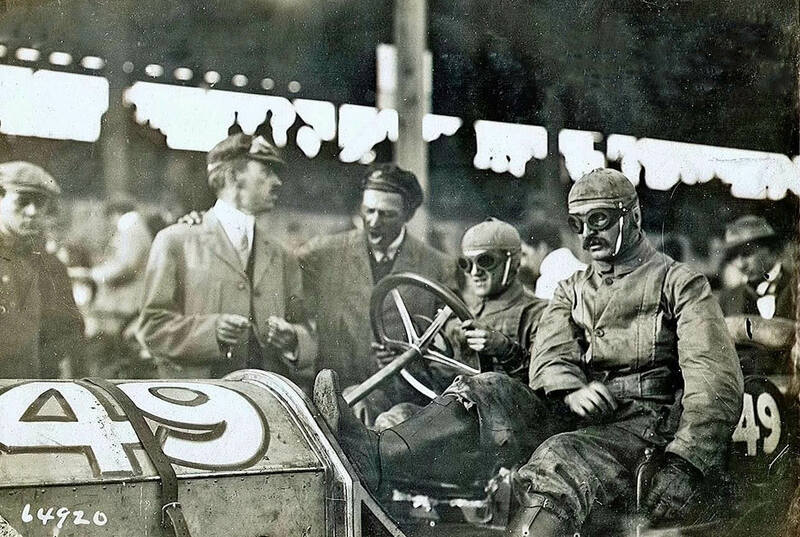 For an instant it appeared to observers that the big Benz was going to lunge into the crowd behind the wire fencing along the Motor Parkway, but Hearne kept his cool and guided his speeding racer back onto the course, and, eventually, to an eighth-place finish. 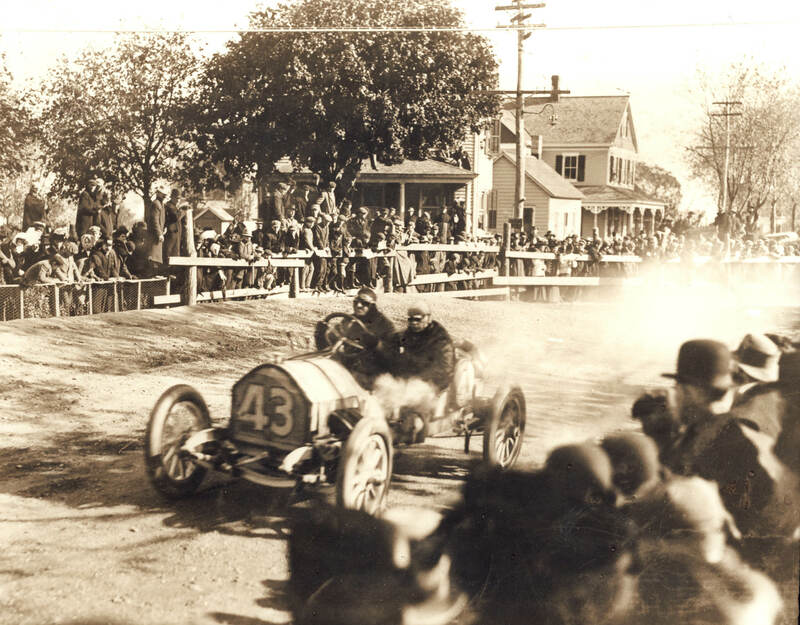 Fred Heinemann in a Marmon and Corbin driver Alvin Maisonville battled for the lead initially until the latter’s engine expired on lap 2. Heinemann continued to pull away through the sixth lap when he had amassed a 3 minute, 38 second lead over second place W.H. Pearce in the # 41 F.A.L. car. The seventh lap was the beginning of the end for Heineman. 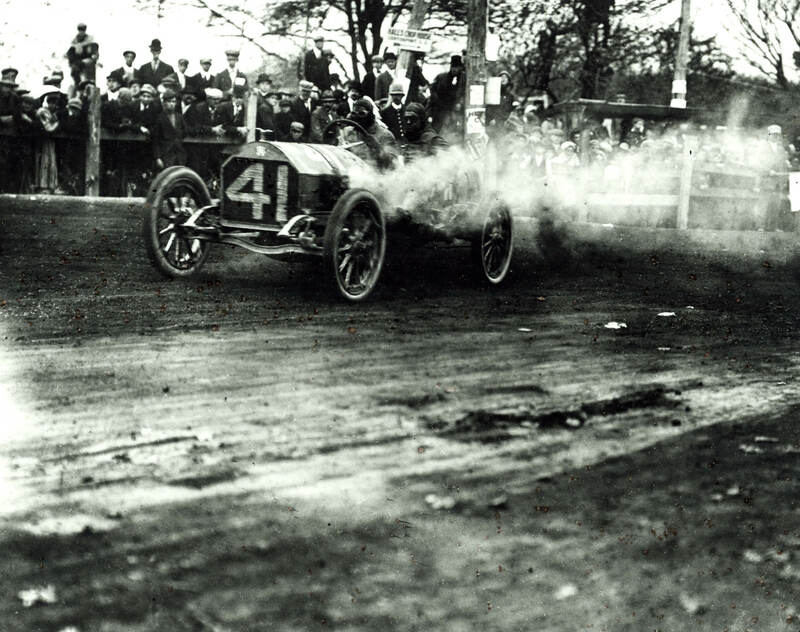 Just as with Dawson and Harroun in the big race, Heineman’s smaller Marmon broke a gas line. 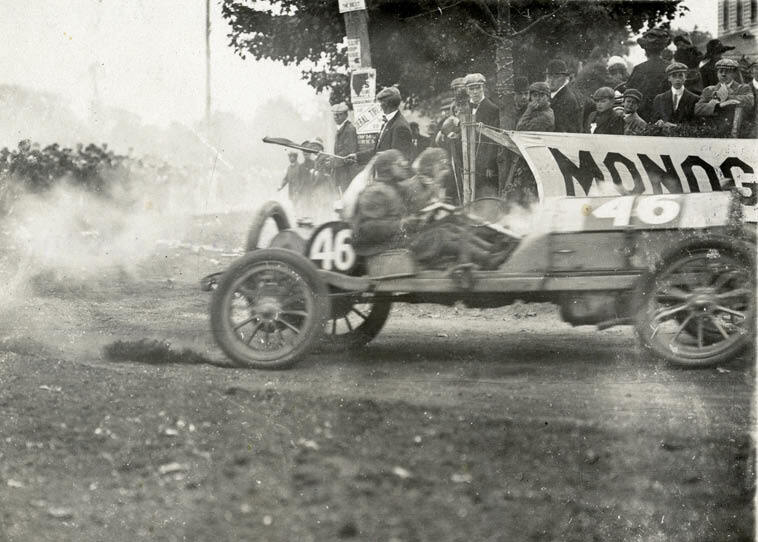 By the eighth lap Pearce surged ahead with his teammate Frank Gelnaw running second, 6 minutes and 15 seconds behind. 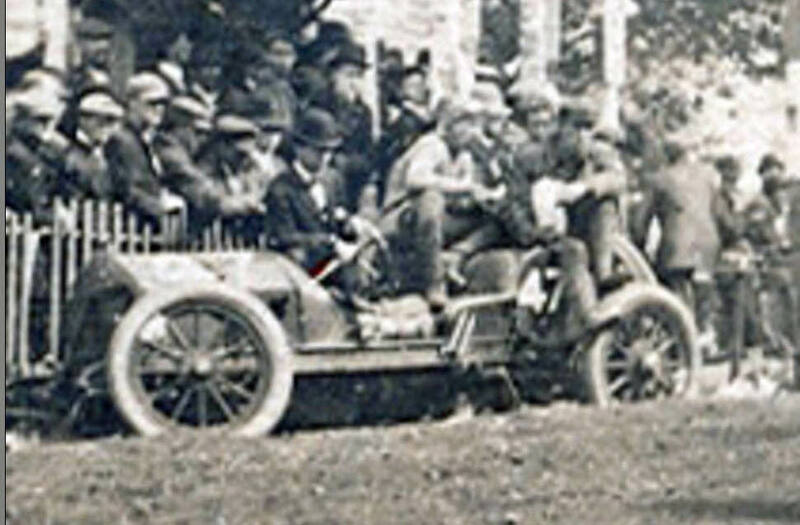 Heineman repaired the gas line and clung to third place, but there were only four cars running, with the Mercer of E.H. Sherwood hopelessly behind. Behind them Juhasz (S.P.O), Marcel Basle (Marion), Alvin Maisonville (Corbin) and Howard Frey (Mercer) had fallen by the wayside. Frey’s Mercer had the most spectacular exit, clobbering a telegraph pole near Hicksville and narrowly missing a cluster of spectators gathered there. Neither the driver nor the riding mechanician was injured in the incident. Pearce extended his lead until lap 11 when a long delay put him nearly 6 minutes behind teammate Gelnaw. From that point on to the finish of the fifteenth and final lap Gelnaw increased his lead, beating Pearce to the line by a 10 minute, 22 second margin. He completed 189.6-mile race in 3:14:39 at a 58.4 miles per hour average. 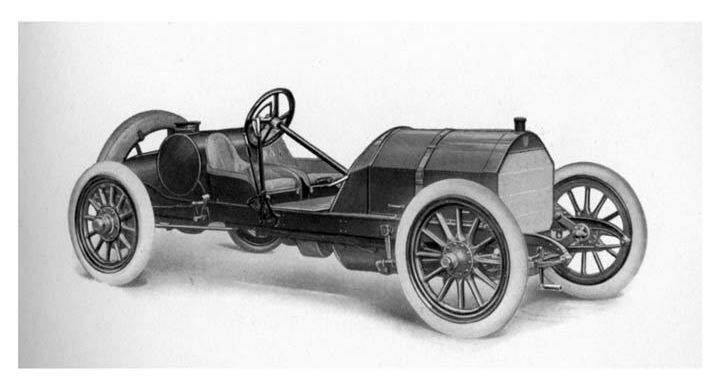 #42 Mercer driven by E.H. Sherwood. Finished 4th. Owned by Washington Roebling 2nd. #46 F.A.L. driven by J. Frank Gelnaw. Finished 1st, averaging 58.4 mph. #47 Mercer driven by W.T. Frey. Finished 8th. Crashed into a telegraph pole in Hicksville. From the John E. Roosevelt Family Album. Courtesy of the Bayport Heritage Association. #49 S.P.O. driven by John Juhasz. Finished 5th. Great article. Would like some more information about Frank Gelnaw, 1st place finisher. picture of him, his car. Can some one help with this?